Perfect Mix Pantone Color Match and Metallic Color Matching Technology is a method of fabrication that is controlled by weight and formula. The mixing station we use is by the Matthews Paint Company, This amazing invention mixes both U and C Pantone Colors and Metal Flake Awesome Colors. 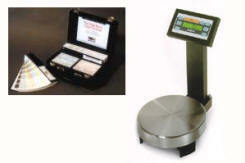 The process is simple, a portion of one color mixed with a portion of another color or two, makes all colors. 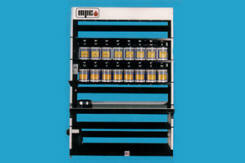 The machine part of this invention weights the correct portions based on the pre-determined formula, then another machine mixes the portions of colors together. The result are on the money, Perfect Mix Pantone Color Matched. 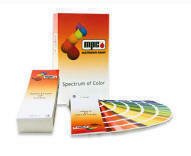 This simple process allows us to easily offer you Color Matching of Any Color for Both Interior and Exterior Signage. We have been using Matthews since the early 1970’s because it’s the best. Now all you simply need to do is specify a universal Pantone U or C color number and you can be confident that it will match exactly. So go ahead, use any color your heart desires for your interior or exterior projects, let your imagination run wild and we’ll match it. Remember that this Technology is a great aid in fabrication but it is still completed to Perfection by good old fashioned highly skilled Craftsmen naturally at Letterama. Contact Us today for a consultation and we’ll help you get it done right! 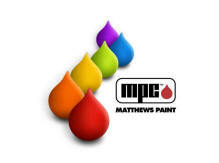 MATTHEWS PAINT PMS COLOR MATCH SYSTEM The New York City Sign, Letter & Logo Company, And Beyond, Since 1959.